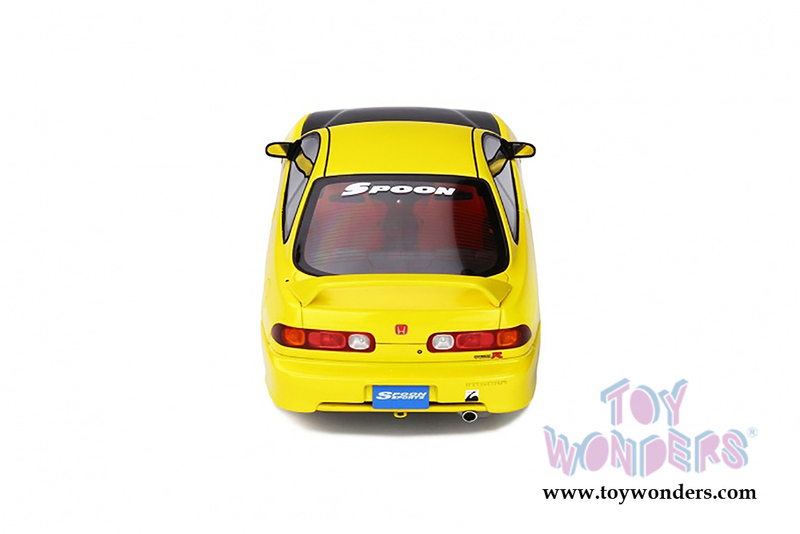 OT792 Ottomobile - 1998 Honda Integra DC2 Spoon. 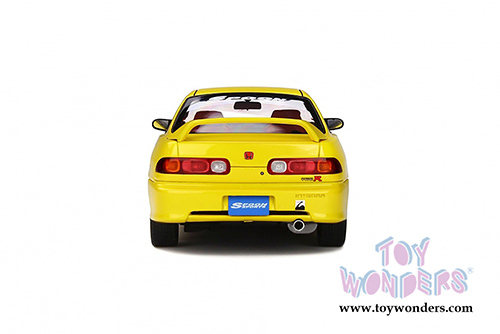 1:18 resin model collectible model car. 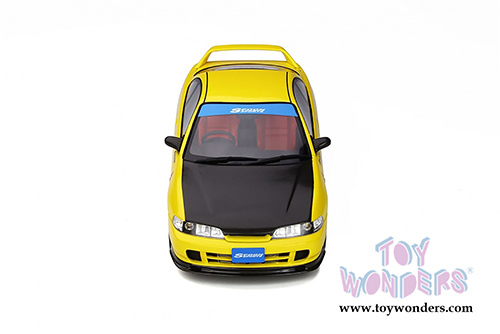 This is a 9.25"L x 3.75"W x 2.5"H resin model car with freewheeling, detailed interior and exterior. 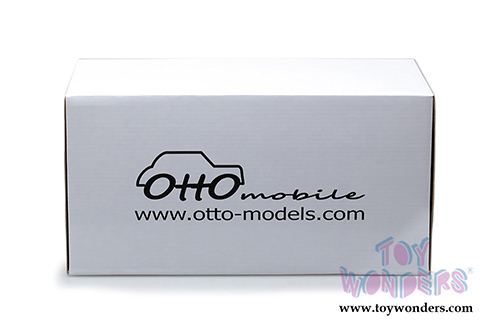 This Honda Civic is manufactured by Ottomobile Ltd. 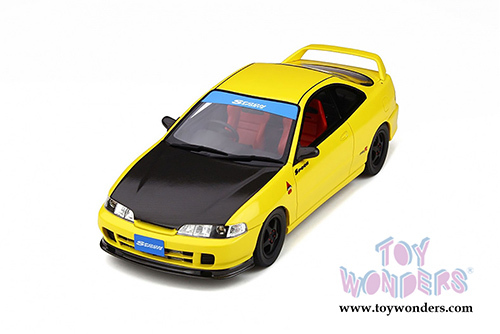 Box size is 12"L x 7"W x 5.5"H. Item OT792 is in Sunlight Yellow with black hood. Limited Edition to 1500 pcs. Car is not openable. 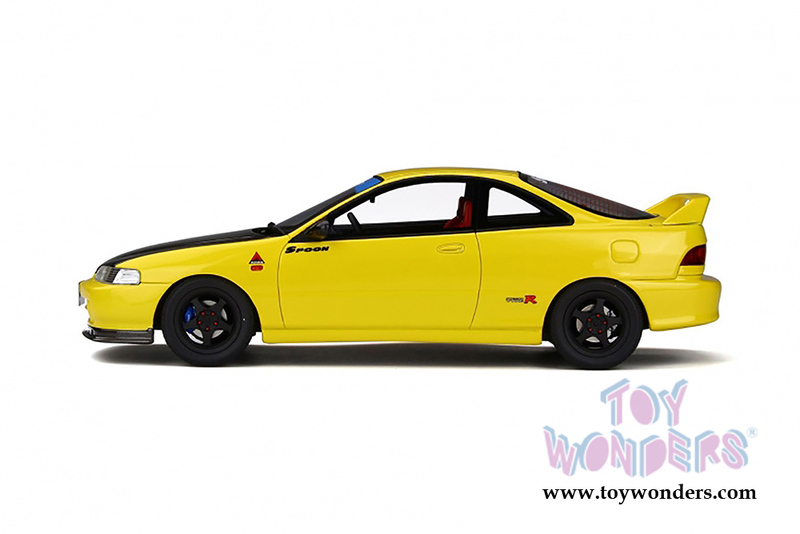 To see more Honda collector die-cast vehicles (click here).